Michael Moss' powerful New York Times' investigation into the United States Department of Agriculture's Meat Animal Research Center ("US Research Lab Lets Livestock Suffer In Quest For Profit") predictably outraged readers. The collective angst came not just because of the center's ghoulish and inept experimentation; not just because the research animals suffered to boost profits in the livestock industry; but because the public learned that taxpayers had footed the bill - and had been doing so - for fifty years. Compare that discovery to the recent media attention given to a very similar program, one involving even more animals, conducted to boost livestock industry profits, costing even more taxpayer dollars, and degrading millions of acres of public rangelands in the American West: The Bureau of Land Management's Wild Horse and Burros Program (WHB). The news media regularly covers this program. Articles about wild horses appear daily, in fact. So why is the public incensed over the US Department of Agriculture's Meat Animal Research Center while the WHB program goes ignored? The difference is in the reporting. Coverage of the Meat Animal Research Center (which we review here) was initiated by government whistleblowers within the research facility. An experienced investigative reporter subsequently spent a year researching the claims, largely through Freedom of Information Act requests. Federal and corporate perspectives were handled with appropriate suspicion. Coverage of the WHB program, on the other hand, is typically sourced almost entirely from the Bureau of Land Management (BLM) and the industries benefiting economically from wild horse roundups: notably, private ranchers holding public grazing permits (though mining and energy development companies profit, too). If Moss, in his reporting on the Meat Animal Research Center, had turned to the USDA's web site and livestock producers to ask about doing research to boost industry profits, would anyone ever know about "easy-care sheep" and lambs left to perish in rainstorms courtesy of unknowing taxpayers? Of course not. But coverage of the WHB program was dominated by those groups making money off it. David Philipps' New York Times article ("As Wild Horses Overrun the West, Ranchers Fear Land Will Be Gobbled Up," critiqued here) and Caty Enders' Guardian piece ("Why You Really Should, But Really Can't, Eat Horsemeat") are two cases in point. Non-industry sources comprise less than eight percent of the articles' collective text. The other 92 percent is all industry boilerplate. Enders' loyalty to the ranchers' perspective even creeps into her word choices. Notably, she uses rancher lingo to refer to wild horses, calling them "feral." Her point of view is clear, and it's 92 percent bull. This kind of source bias would be understandable coming from a reporter for a beef industry trade publication. But Enders is a reporter for a major media outlet. An over-reliance on federal and industry sources is problematic not just for animals, but for the consumers who eat them (and care about their welfare). Enders' piece notably fails to answer the two questions posed in her own headline: a) why you should eat horse meat, and b) why you can't. One reason why you can't eat horse meat is that some states ban it outright. 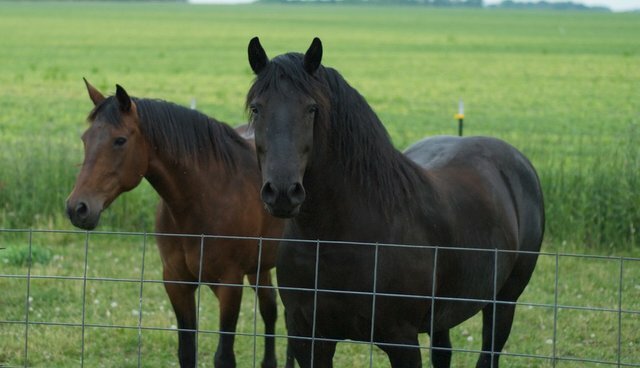 The larger reason is that Congress passed an amendment banning inspections in horse slaughter plants, preventing them from opening. These facts are well documented in the media, as this Jan. 17, 2014 NPR article exemplifies. A bipartisan majority supported this amendment because the drugs horses routinely take are banned in food animals. Furthermore, there is no proper system in place to track these drugs, making it impossible to keep tainted horse meat out of the food chain. As a reporter, Enders should have known these facts. And reported them. Enders' suggestion that wild horses would be suitable alternatives is equally misinformed. For one thing, wild horses in BLM holding facilities are wormed and vaccinated (therefore not free of drugs banned in meat animals). For another, Congress prohibits the slaughter of wild horses. As a reporter, Enders should have known that, too. Why did she not? Simple: industry, whom she relied on for her reporting, doesn't offer this information. The only place you'll learn about the intricacies of horse slaughter (and wild horse round-ups) is from advocacy groups: the very people Enders and Philipps gave one word of text to for every eleven it handed to ranchers and the BLM. Again, sources matter. Consider, as a final point, the dramatic photo in Enders' piece showing wild horses fighting, one with its teeth bared and the caption, "Overcrowding on the frontiers of the American west could lead to a depletion of natural resources for wild horses." The photo confirms the article's bias. The problem is that it doesn't depict wild horses fighting over depleted natural resources in the American West at all. Rather, it was taken in Sabucedo, Spain during a 400-year-old "horse festival" called rapa das bestas, a macabre ritual in which wild horses are driven down from the mountains, wrestled to the ground to have their manes and tails trimmed, and "corralled into a village where they face aloitadores or fighters in this man vs. animal challenge – minus weapons, just bare hands and hooves." There's a reason why complex topics - such as Moss' investigation into the Meat Animal Research Center and wild horses rounded up by the BLM - require thoughtful digging and reporting. The alternative - an easy reliance on self-interested federal and industry sources - keeps the public in the dark about the inept, incomprehensible and inhumane things that the government is doing with its money. Journalists should not be abetting that corruption. They should be exposing it.